Any application can authenticate and use any functionality in the application as remote API. For instance, you can create a mobile application consumes the same API. 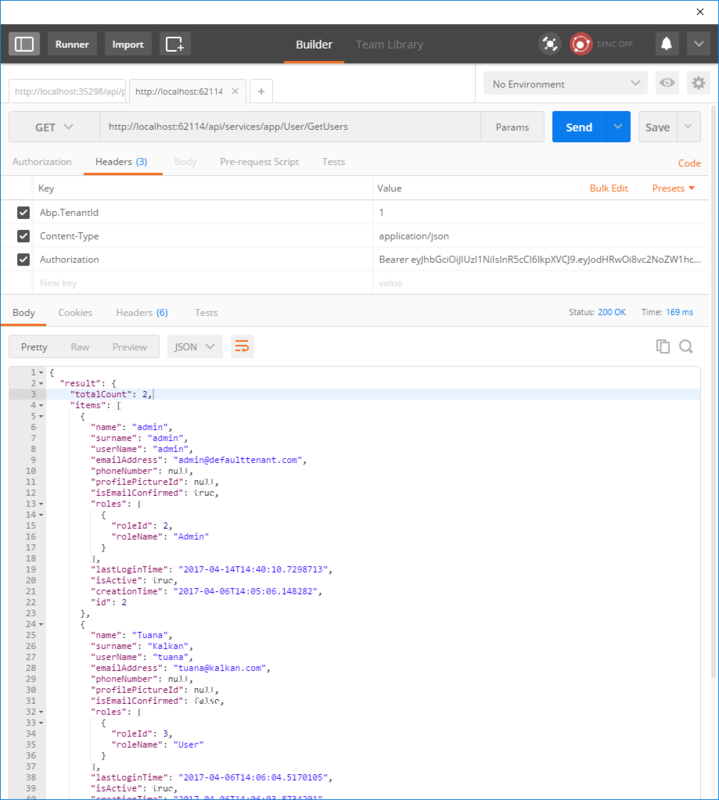 In this section, we'll demonstrate the usage of the remote API using Postman (a Google Chrome extension). We suggest you to disable two factor authentication for the user which will be used for remote authentication. Otherwise, two factor authentication flow should be implemented by the client. We assume that you have disabled two factor authentication for the admin user of default tenant since we will use it in this sample. In the returning response, accessToken will be used to authorize for the API. 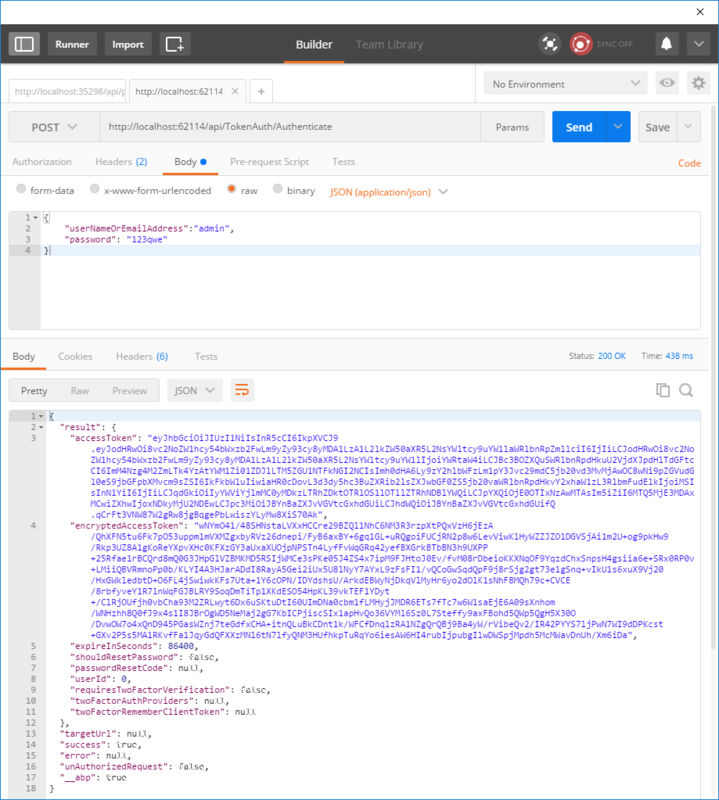 We sent a GET request to http://localhost:62114/api/services/app/User/GetUsers and added Authorization to the header as "Bearer <accessToken>". Returning JSON contains the list of users.